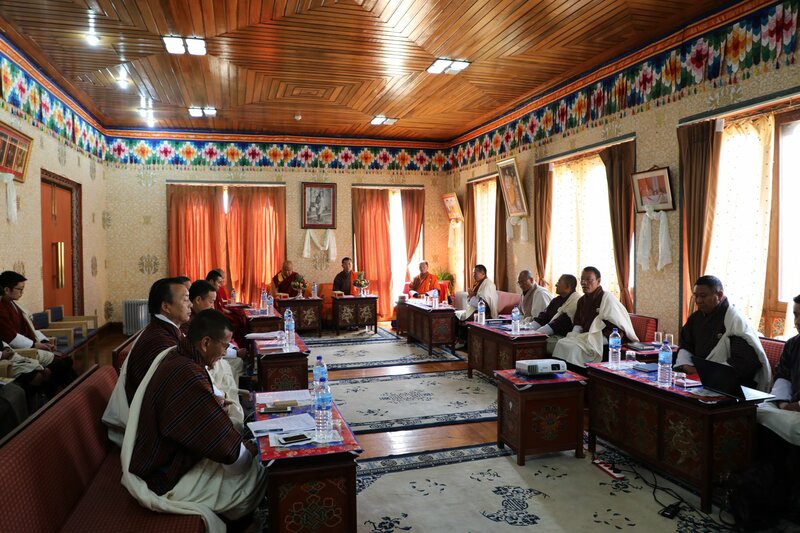 With a view to provide sound policy advice and support to the Prime Minister and the Cabinet, to promote a Whole of Government (WoG) approach to enhance good governance and for effective coordination, operation and implementation of plans and policies of the government, the Government during its 5th Lhyengye Zhungtshog held on 11th December 2018, decided to re-institute the Committee of Secretaries (CoS). The Committee of Secretaries was formally reinstitute this morning coinciding with the 15th day of the 12th month of the Bhutanese calendar. Lyonchhen Dr Lotay Tshering, Venerable Tshulag Lopen, Lyonpo Tandi Dorji, Minister for Ministry of Foreign Affairs, Royal Government of Bhutan, Cabinet Secretary and Government Secretaries attended the event.